This site is created for folks wishing instant availability, their best online prices and specials and booking with an Australian campervan and 4wd rental operator. This site links in an iframe directly into the Apollo official Australian website. This site links into other specialist affiliate sites such as instant booking and availability tours in Australia at Tours To Go, alsong with world wide accommodation instant availability search and bookings at Australia premium accommodation website of Wotif. This site links into other specialist 4wd rental and motorhome specialist sites such as Goholi and Australia 4 Wheel Drive Rentals and Australia 4wd Rentals. This site links into other specialist adventure tour sites such as Australia 4 Tours. This site is owned by the Goholi and Australia 4 Wheel Drive Rentals group. We are called 'Australia 4 Wheel Drive Rentals' - Our very experienced staff at our licensed Northern Territory Travel Agency (Travel Agency License NT094) situated in Darwin, Australia just 7 klm from Darwin International Airport . Travel Agent Number NT 094. Together 27+ years experience and 20+ years experience - Operations Manager in International Conventions and Group Travel. Languages: English, Mandarin, Cantonese, Malaysia. Please take some time to read this page as hope you may be putting your holiday planning in our hands we wish to tell you all about our business. Australia 4 Wheel Drive Rentals is a registered business and licensed Travel Agent in Darwin, Northern Territory, Australia. We specialise in 2 areas of travel the firstly being 'land based' Australian tours and secondly 'selfdrive hire and rentals' across Australia (hence the business name 'Australia 4 Wheel Drive Rentals'. 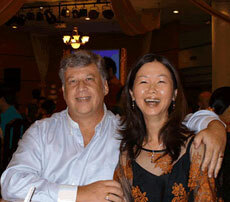 Our senior management alone have collectively over 30 years in the travel industry from around the world. With experience gathered from organizing tours of 1000+ people to exclusive tours for V.I.P.s.Though our main business comes from you the 'Domestic Traveller' or 'F.I.T. Traveller' (Foreign Independent Travel). The person travelling alone, the family, the couple, the business person or group of friends. Whether you be 25 or 85 we will offer you the best customised and personalised service possible.When we prepare a tour we actually spend a considerable amount of time deciding if the tour you are looking at suits your needs and desires. We like to know your dates and flexibility so we can compare all the available options. We like to know your thoughts on the type of trip you envisage, your approx spending anticipation level and the people you like to travel with. Often a trip may be different to what one thinks it will offer.Our quotes would be one of the most extensive quoting systems on offer. Usually some 3 pages, though these quotes tend to offer you as much information as a quote could offer. As you can tell from this page we are not a 'fly by night' company and we actually really enjoy our jobs and take pride in our work. We would also appreciate all the feedback possible on the tours we book for you and meet with you if your in Darwin - as we say 'the kettle is always on'.Why Choose UsSome of reasons you can feel confident in booking your next tour or recommending us. � We are licensed Travel Agents. In Northern Territory to be a licensed travel agent you must have the proper creditionals and most of all relevant sound experience to be a licensed agent. � Our licensee Rob has lived in Alice Springs and Darwin in Northern Territory from 1988 till now (except 1 year - 1994 in Perth). Rob grew up in the bush in Victoria high country of the Upper Yarra and coming from a family of horse trainers, rangers and conservationists. Rob has learnt bush tucker, bush medicine and the real spirit of outback Australia since he was five. Now some 40 years later his wealth of knowledge puts him in the league of travel specialists that you should be looking for. Rob also attended Northern Territory University to obtain his travel accreditations and adding his hands on experience for the last 10 years Rob has passed on this knowledge to his staff over the years. � We show you our address clearly on our sites. � We are available till 10pm nightly. � We try to get personalised and well thought out tour quotes to you within 2-6 hours between 9am-4pm weekdays and if we receive a quote after 4pm our time then next day. A quote also relies on our response from our listed tour operators. Vehicle quotes may take longer. � We generally work directly with the tour or vehicle operator in the quote. � The only affiliated systems we would tend to use currently are the different state government tourism booking systems such as the NT Government � We work with the tour operators personally when possible and hand in hand on all tours. Tour companies such as Intrepid, Adventure Tours Australia, Sacred earth Safaris, Walleroo, Wayoutback, APT- Kimberley Wilderness Adventures, Then there is accommodation sites such as Wotiff and vehicle rental suppliers such as JJ, Mighty, Boomerang, Britz, Maui, Apollo, Cheapa, Starrv, Cruisin, Go Cheap annd many more all trusted and experience. � We work with the vehicle operators personally when possible and hand in hand on all rentals. vehicles companies such as JJ, Mighty, Boomerang, Britz, Maui, Apollo, Cheapa, Starrv, Cruisin, Go Cheap annd many more all trusted and experience. � As we have an extensive listed range of tour operators, one of the largest ranges in Northern Territory we feel we can compare tours and provide you with their benefits and offer you the best tour that suits your needs and desire. � As we only specialise in Australian land based tours (predominantly small group outback tours) though we have extensive knowledge on all other land based tours. � Our staff actually gather as much information on the areas as possible. If you need to know the updates to access to Jim Jim Falls in Kakadu, or find the most rugged tour or the most luxurious camping tour, then we either have that information ready or will get it usually that day. � We offer scheduled daily or regular departures in small and large group accommodated tours. � We also offer personalised customized private charters. This is a tailored made tour that only you/you group travel on and designed around what you want to see where possible. � When we book your tour we take into consideration your desires on the type of tour, type of vehicle and size of groups, highlights and type of people you want to be with. � We work with some of the most respected and trusted names in the tour industry to bring you the best prices, specials, updates and packages as soon as they are made available. � Our site is updated daily as we work 24 hours a day. Verifications for a particular current travel license can only be found at the Consumer Affairs at Darwin. Tel 08 8999 1999. In the Northern Territory a extensive checklist is required for Travel Agents in Northern Territory to be licensed. Tour Operators based in Northern Territory actually have to comply the Northern Territory licensing board. Their criteria is extensive. Why book with us instead of booking with a vheicle operator or tour operator direct, tourist commission or a local licensed travel agent. Vehicle operators and Tours operators, Territory Discovery, The NTTC Commission, and 'destination experienced' licensed travel agents are usually excellent choices to book with. We do not compare our services to these like minded professionals. What we suggest is look at the benefits you receive when booking through us. Rob has lived in the Territory some 18 years and has extensive experience. We know the operations and reservation staff of most tour and vehicle operators personally. We operate 24 hours. We have a large selection of tour and vehicle operators ( some 50 more we can't list as there is just to many to show online) and will offer all vehicles and tours regardless of commissions or opposition. We do pass on savings in the forms of discounts and specials to you. We are as professional as one can be and to always remember you may not be fully aware of all the options and to offer them and let you be aware of them so you can make a smarter decision. How To Get A Quote For A Particular Vehicle from our travel agencies.